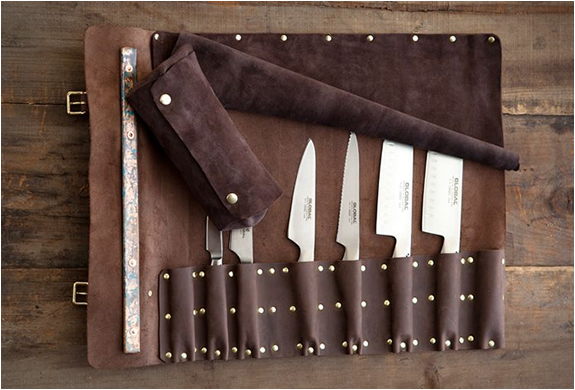 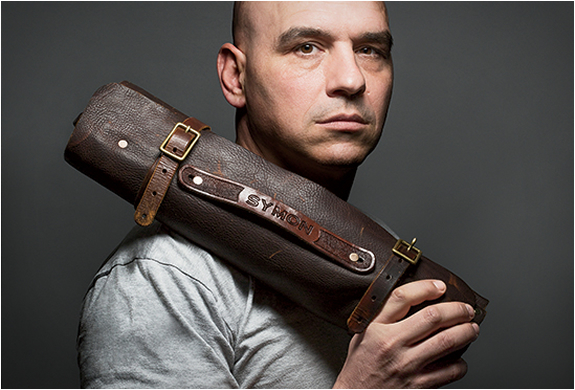 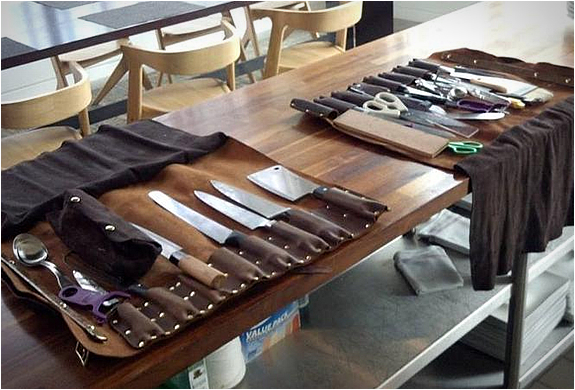 Steve Goodson is a master leather worker living in Texas who specializes in custom knife rolls. 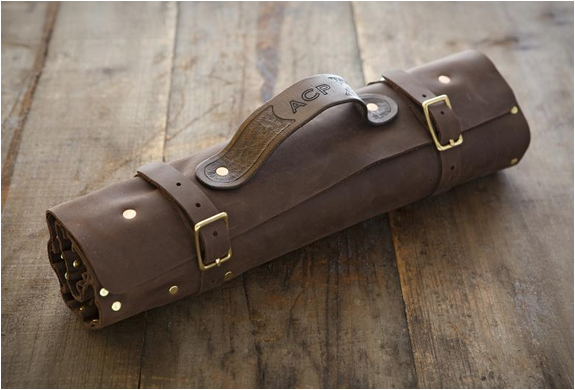 The beautifully handmade leather knife rolls are custom made, every detail is discussed, planned and implemented in accordance with the customer, you can choose the color and type of leather, the number of knife slots, and the personalization of the carrying handle with your name or initials. 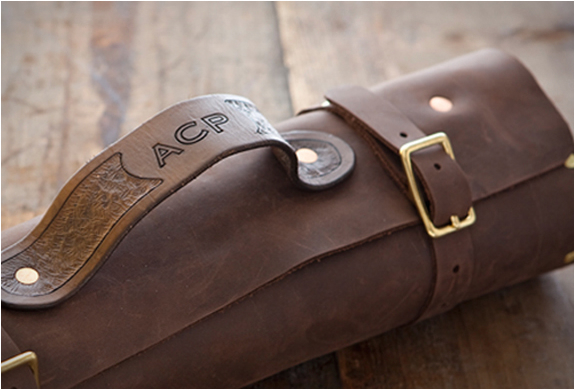 Every roll is hand cut, numbered, and assembled one at a time.